Google opinion rewards is a fabulous application for all people this application can pay you high amount for sharing your opinion with Google, this application will provide you some surveys based on your activity and if you fill those surveys you will be rewarded in the form of Google play credits. Most of the users are facing no surveys problem in their Google opinion rewards application and not earning any credit from Google opinion rewards because of this problem. 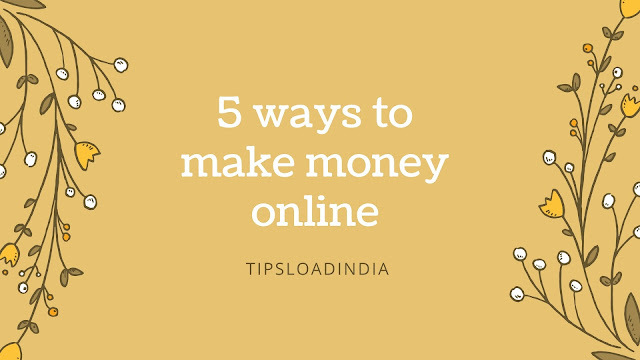 In this article I will suggest you 5 simple ways to solve no server problem in Google opinion rewards application, these tips will Boost Your frequency to getting survey in Google rewards application and also increase your Google Play credits. All the tips mentioned by me are really working and effective in every country if you are not able to get any survey in Google opinion reward application then please try these methods to get surveys in your application. This is a really working method to get surveys in Google opinion reward application if you have installed this application in your device then please open it once a day this will send a positive message to Google and they can offer you a survey. If you are not using this application after installation then Google will never offer you any survey so please open Google opinion rewards once in a day to remove no surveys problem. Google opinion reward application will give you a paid survey on the basis of your location so it's very important to share your history with Google, you can easily share your location history with Google from Google opinion reward application there was an easy option in this application to turn on this service you just have to follow these simple steps. • open Google opinion rewards application in your device. • open menu bar of application from right side. • now open settings and click on location history. Now turn on this option to share your location history with Google. This is applied method to increase your frequency to get more surveys in Google opinion reward, after applying this method, your chances to getting Surveys will be increased multiple Times, this is the most important step to solve no service problem in Google opinion reward application. This is the most important thing to get more surveys in Google opinion rewards application because Google will only pay you for your original surveys and if you gave them wrong opinion for any survey they will never offer you any survey again so please give them only original review about their products and services this is beneficial for both because your opinion will help them to make their services better and your original review about the product can increase your chances to get paid surveys in Google opinion rewards application. We all know that honesty is the best policy so be honest while filling any paid survey in Google reward application, this method can solve no survey problem in Google rewards application. This is really amazing tip to increase your frequency to getting surveys in Google reward application according to district you should turn on your GPS while cold out for any work for example while going out for shopping you should turn on your GPS to share your travel and location history with Google opinion rewards. With this trick you can get surveys regarding your shopping and you will be asked about your shopping experience with several shopping malls, this is really working method to getting surveys from Google rewards application. If you have a bond or buying products from several places then please turn on your GPS while doing this work this will send your location to survey application and you can get service according to your activity. As we all know that Google is a multinational brand and he launches several application and web sites monthly so Google need customers opinions to make their services better, because of this they apply for paid surveys for better opinion, in this case if you install several Google applications then Google can offer you paid surveys to get your valuable opinion regarding their application IT services this is a very easy way to get more surveys in Google opinion rewards, there was a lot of the applications are available on Google Play Store powered by Google just install some of them and wait for it survey in Google reward application. As we all know that Google is a multinational company and Google opinion rewards is launched by Google so there was no telling issue of scam in this application I assure you that if you have fill a survey in Google opinion reward then you will get your reward for sure. Along with this is this application pay much better rates in comparison of other survey feeling website. 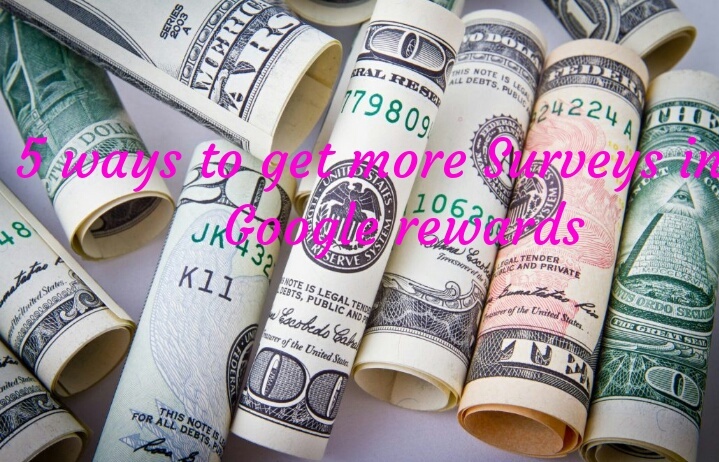 Surveys given by Google rewards application are genuine and high quality which take only 2 or 3 minutes to complete, according to my experience see you can $1 for every survey from Google opinion reward. There was not any terms and condition while using Google reward credits you can easily reading your Google reward credit in Google Play Store, you can buy any application in Google Play Store with the help of this Google Play credits. Google opinion rewards will gave you survey on the basis of your activities so you will get only interested surveys, you will never be asked for your information in those surveys.